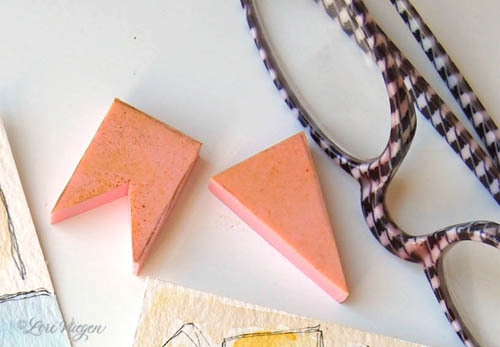 over at Documented Life Project unPlanner! woo hoo! "a look through my eyes, gaining new perspective"
is to use a rubber stamp. 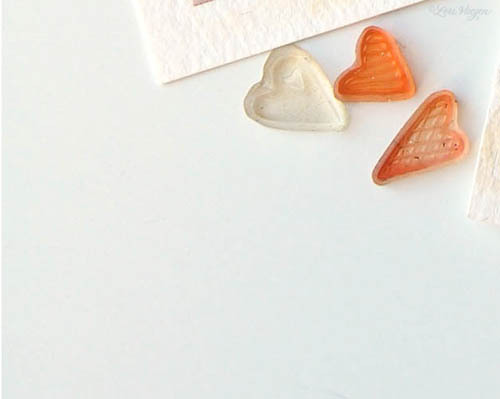 so i decided to use a combination of hand-carved banner stamps…..
along with a few little acrylic stamps…. and "gained a whole new perspective" on how to use them! as well as my entire process from start-to-finish! Congratulations Miss Elvie on your guest posting. 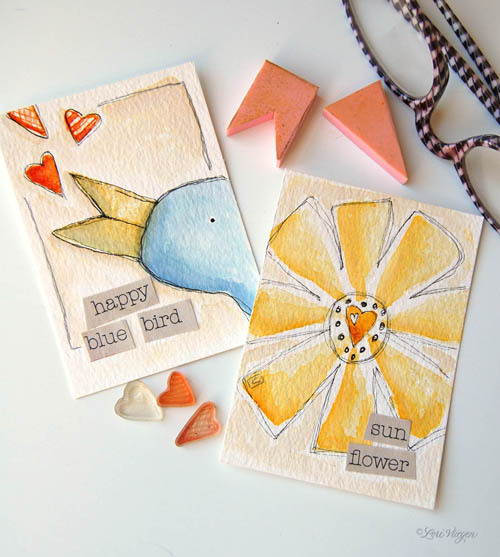 Love your carved stamps and resulting art. Congrats for guesting ! 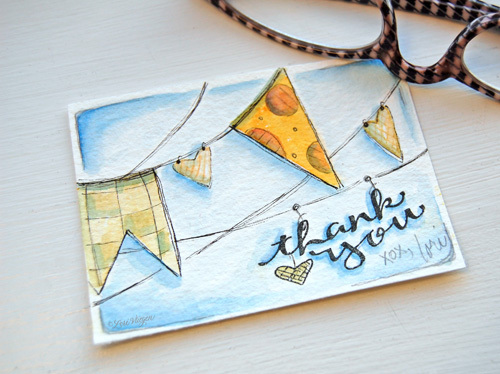 I am a fan of your hand drawn cute and loved the stamped one too..your coloring is amazinG ! My favorite thing to do at retreats is go through the trash cans and pull out discarded things that inspire me then turn them into something useful. When I saw what Sandi did and now what you have done, it reminds me how much fun it was to repurpose and create. Since I just made a batch of art cards with my granddaughter (6 yo) and the "stuff" was still on my table, I'm going to begin this day with creating a few more using your cute stamp technique. Wonder what she will come up with as I know I'm making triangles and banners. Thanks for some great inspiration. Thank you, Lori, for inspiring and educating us as the Featured Artist this month! I love that my boo-boo was part of your process. I have never watercolored with distress inks so thanks for giving me new ideas! Love ya!! Thank you for your wonderful inspiration. You have a lovely style that I always look forward to seeing! Lovely cards. Thank you for sharing with us!